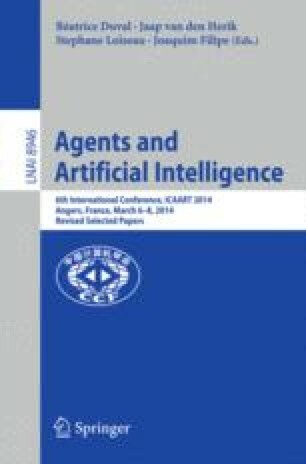 In this work, we investigate the effectiveness of communication strategies in the coordination of cooperative robot teams. Robots are required to perform search and retrieval tasks, in which they need to search targets of interest in the environment and deliver them back to a home base. To study communication strategies in robot teams, we first discuss a case without communication, which is considered as the baseline, and also analyse various kinds of coordination strategies for robots to explore and deliver the targets in such a setting. We proceed to analyse three communication cases, where the robots can exchange their beliefs and/or goals with one another. Using communicated information, the robots can develop more complicated protocols to coordinate their activities. We use the Blocks World for Teams (BW4T) as the simulator to carry out experiments, and robots in the BW4T are controlled by cognitive agents. The team goal of the robots is to search and retrieve a sequence of colored blocks from the environment. In terms of cooperative teamwork, we have studied two main variations: a variant where all blocks to be retrieved have the same color (no ordering constraints on the team goal) and a variant where blocks of various colors need to be retrieved in a particular order (with ordering constraints). The experimental results show that communication will be particularly helpful to enhance the team performance for the second variant, and exchanging more information does not always yield a better team performance.